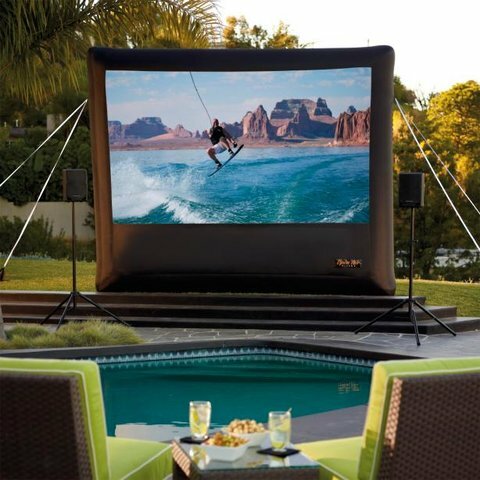 Our Inflatable Outdoor Movie Screen lets you experience larger-than-life movies, sporting events under the stars. It’s simple to set up, just attach the quiet air blower to inflate the screen, twist the tethered stakes into the ground and you’re done. This premium inflatable screen is specially designed to provide optimum tension for the projection surface to ensure the best possible picture quality. This also comes with the projector and speakers for the ultimate surround sound.